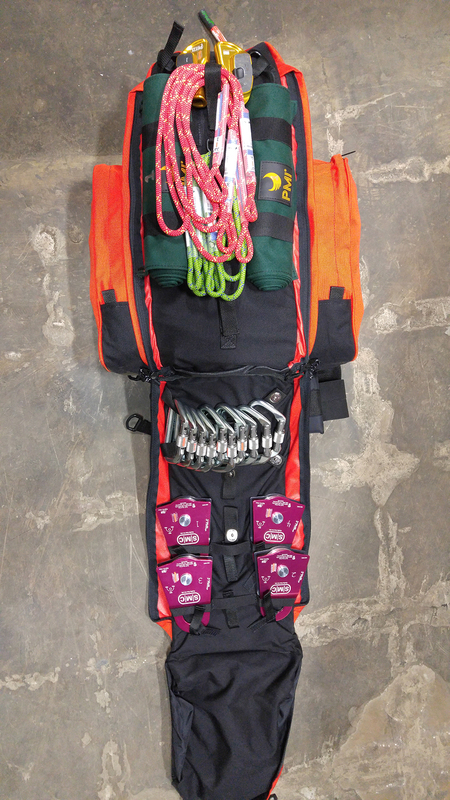 Mainline (or Twin) System Bag – This bag contains everything needed to provide an anchored lowering system with conversion to a variety of raising systems based on your needs. 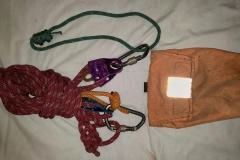 It may be developed as a single-tensioned rope system (Main and Belay) or as a two-tensioned rope system (two identical tensioned systems. 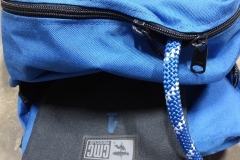 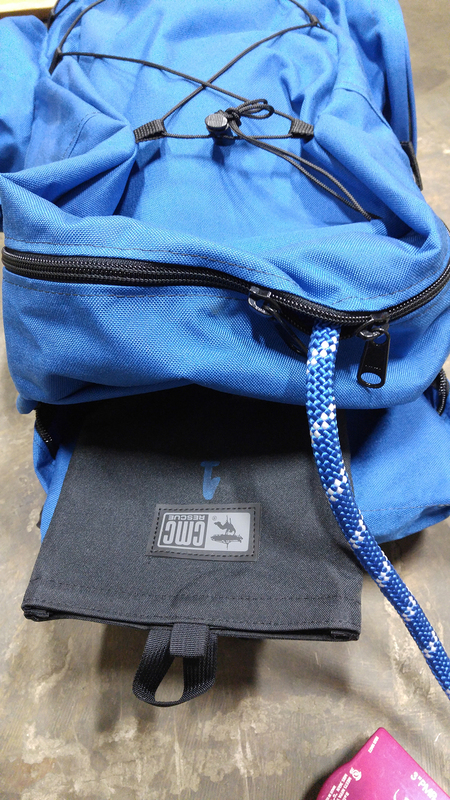 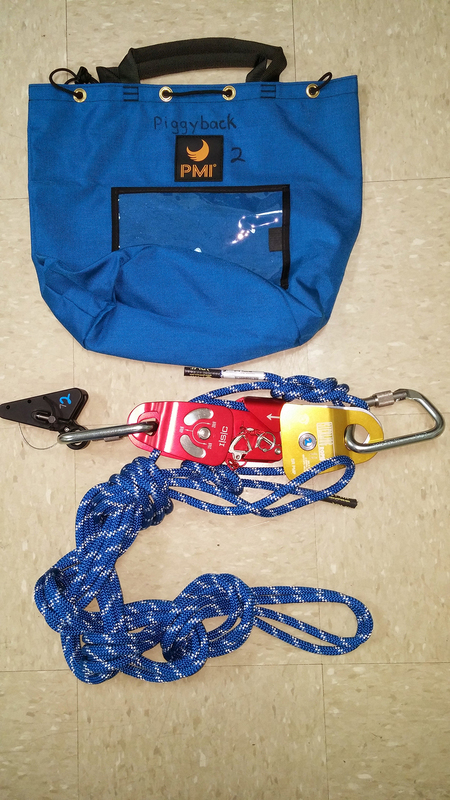 Belay System Bag – This bag contains everything needed to provide an anchored non-tensioned belay system when operating within a single-tensioned rope system. 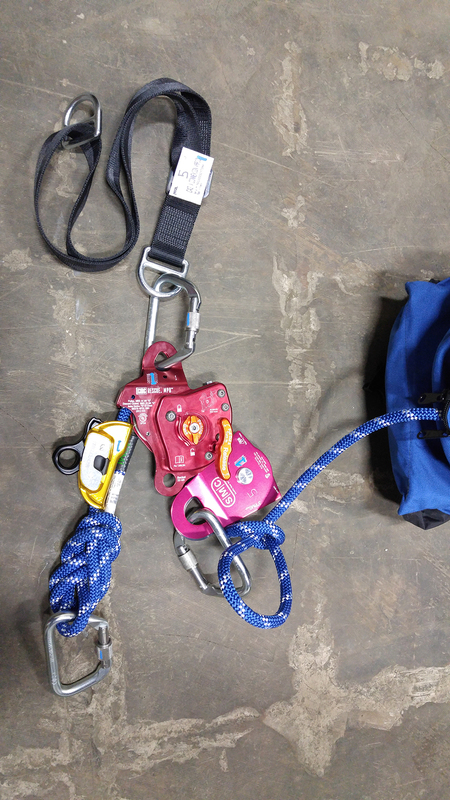 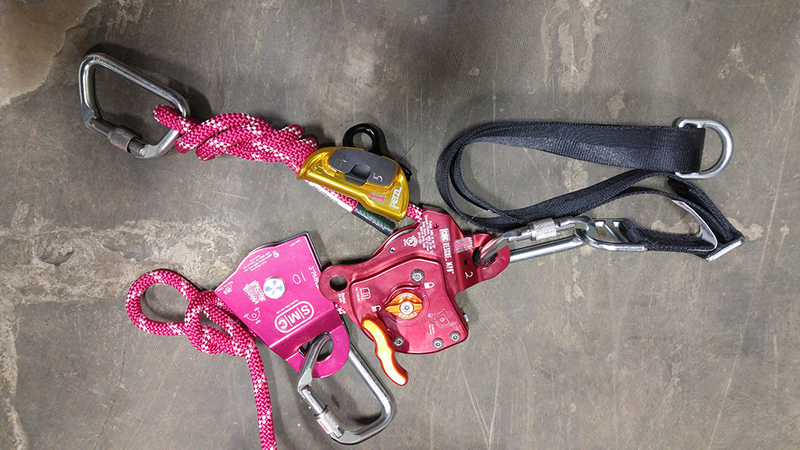 The belay device is based on your needs and convertible to a raising system in order to meet OSHA “Retrieval” requirements during confined space rescuers if needed. 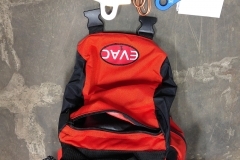 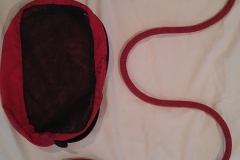 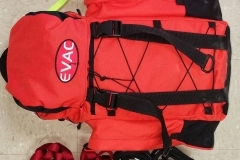 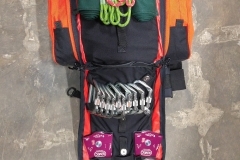 Utility Bag – This bag contains a variety of additional equipment which may be needed in a typical rescue while still maintaining portability in a light weight kit. 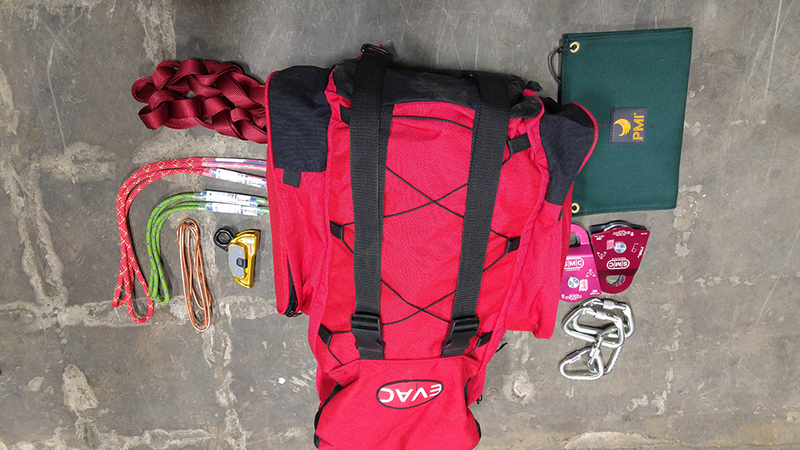 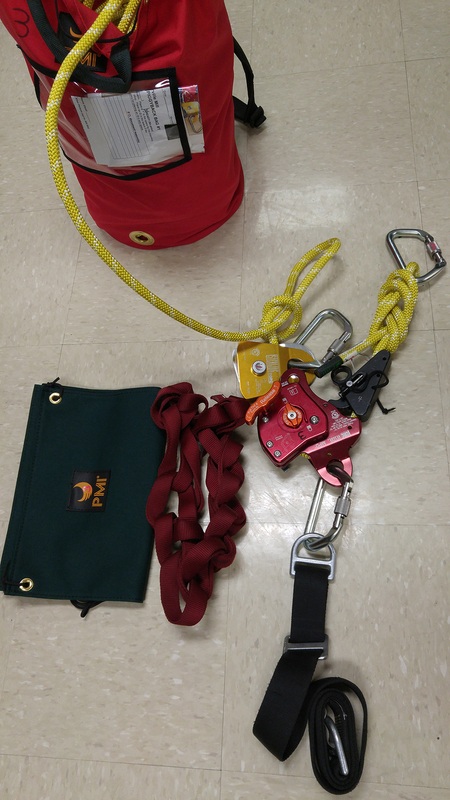 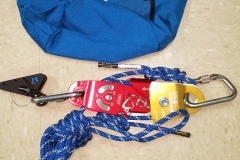 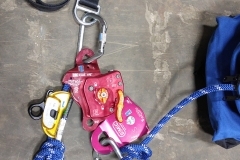 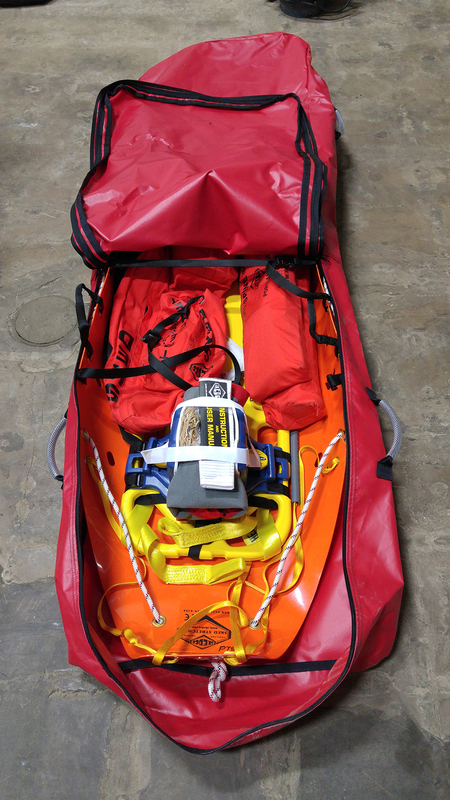 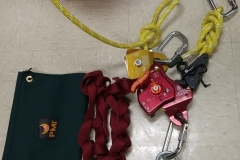 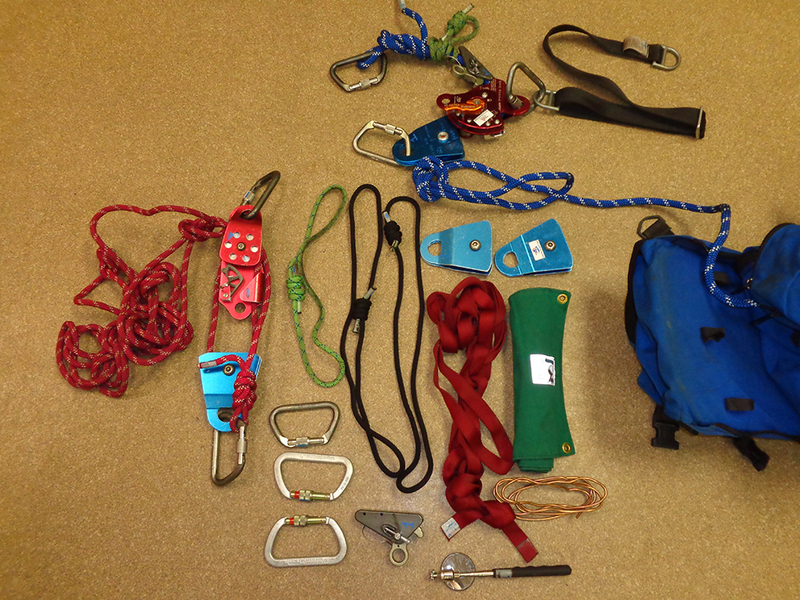 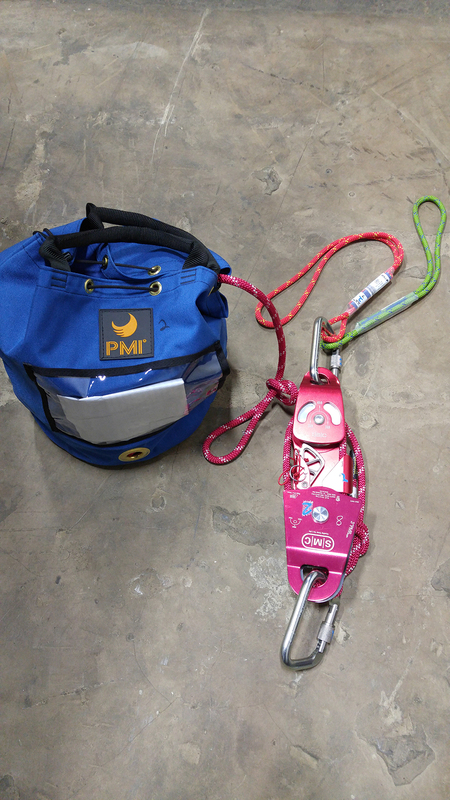 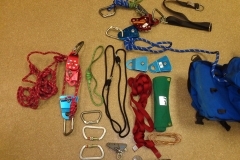 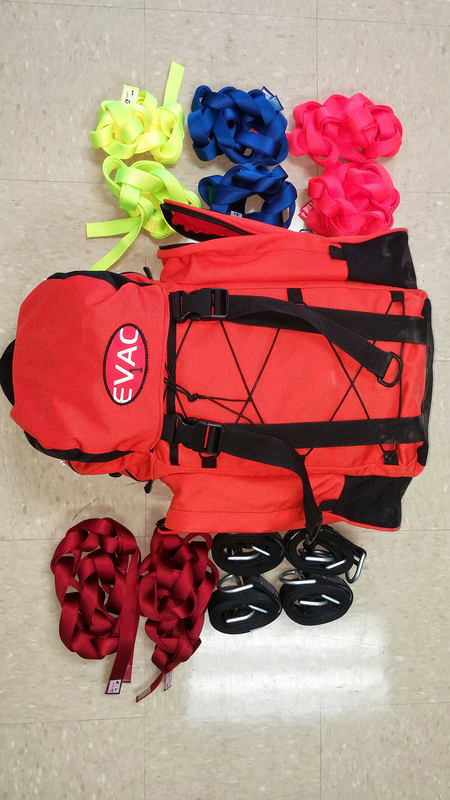 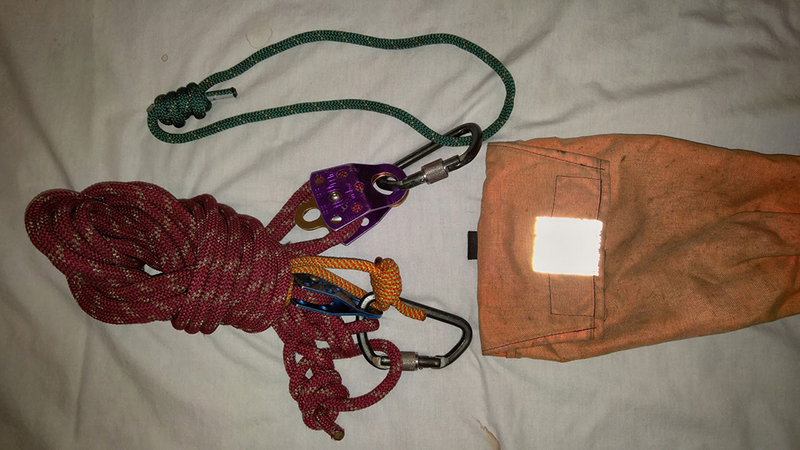 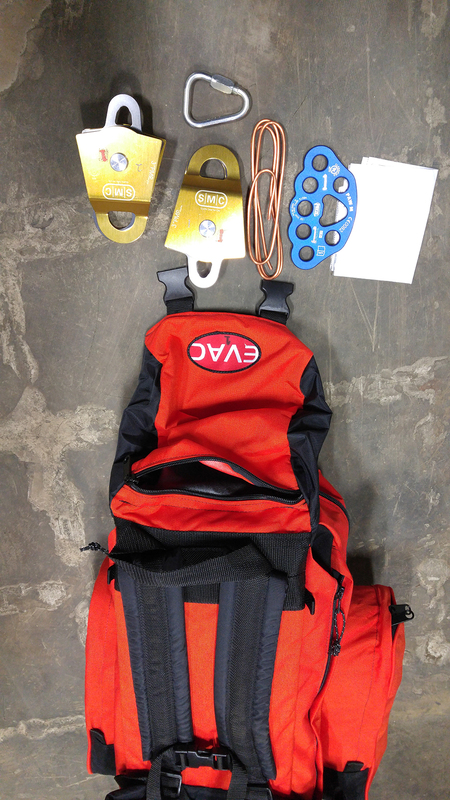 Items typically include (but are not limited to) an additional 200’ of ½-inch rescue rope, 10 carabiners, 4 anchor straps, a variety of 1-inch flat webbing of different lengths, 4 single Prusik-minding pulleys, 1 double Prusik-minding pulley, additional descent-control device, 1 delta screw link, 1 rigging plate, 4 sets of short and long Prusiks (color coded by length), 2 mechanical rope grabs and more. 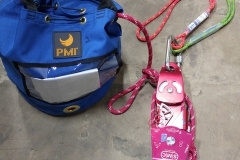 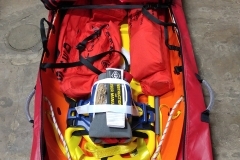 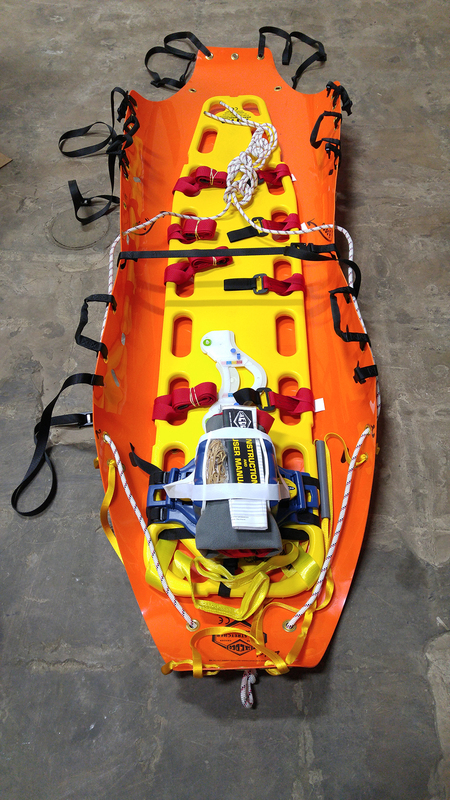 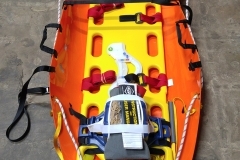 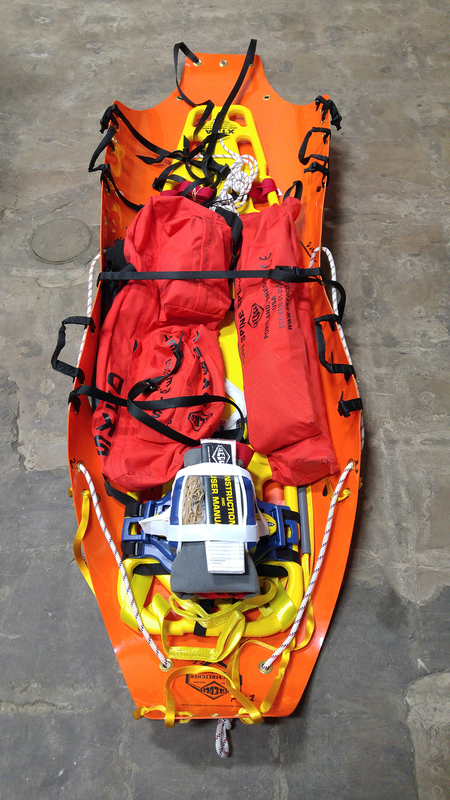 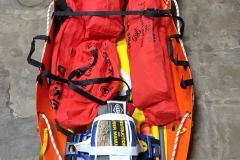 Litter Tender Kits – Litter tender main and belay allowing last-minute attached to either a vertically- or horizontally-oriented litter to allow a singular rescuer to “ride along” with the patient as need dictates. 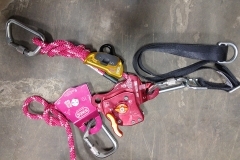 Both systems are completely adjustable and can be locked to allow hands-free operation. 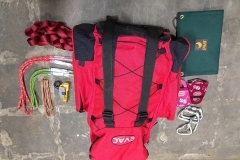 Patient Packaging Kits – This kit offers a customizable solution for all of your patient packaging needs. 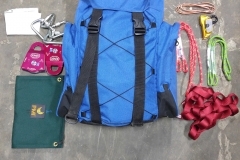 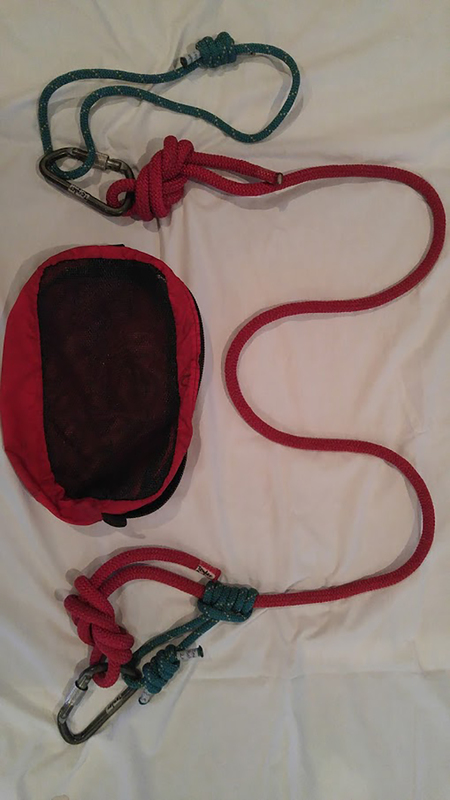 This kit is quite variable but generally includes at least 1 rigid litter with lashing and bridles, 1 flexible Sked litter, 1 long spine immobilizer with rescue-grade lashing straps/c-collar/head immobilizer and 1 short spine immobilizer with either built-in or external patient lifting harness. 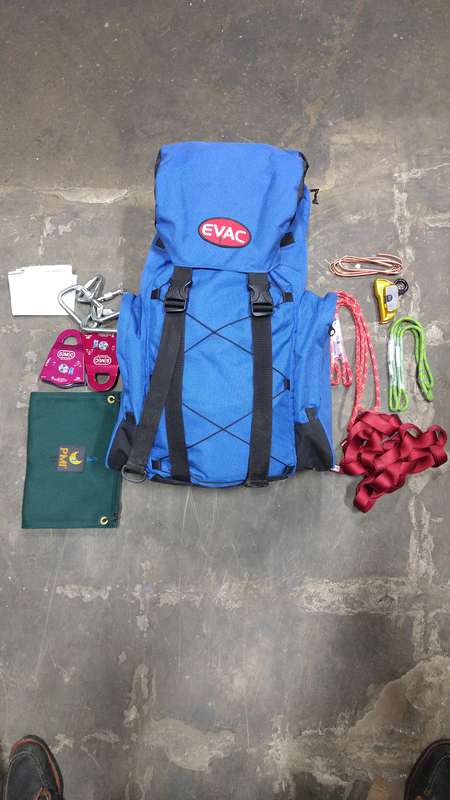 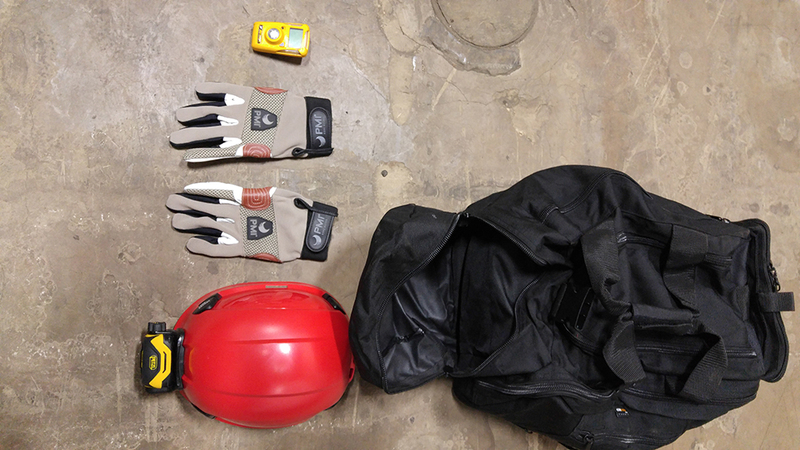 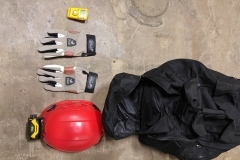 Confined Space Kit – This kit is also very customizable but generally includes a portable anchor device (such as a tripod), a portable ventilation fan, a portable breathing air supply for supplied-air respirators (we do not sell breathing apparatus but do handle air carts), and hard line communications system.